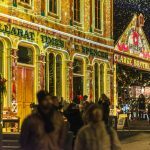 Get into the Christmas spirit and support a great cause at the annual Carols By Candlelight Christmas Eve event in Melbourne for 2018! Bring the whole family along to enjoy this magical event for the whole family. Carols by Candlelight is an annual Christmas concert and fundraiser for Vision Australia’s children’s services. This magical evening has been an iconic Melbourne event since 1938 and is broadcast live on Channel 9, 3AW radio and Vision Australia Radio. Various performers grace the stage singing and performing Christmas carols in a spectacular show that can’t be missed. Over the years this Christmas event has hosted various famous guests including favourites such as Denis Walter, Marina Prior, Silvie Paladino, David Hobson, John Farnham, Debra Byrne, Delta Goodrem, James Morrison, Guy Sebastian, Hi-5 and Anthony Callea. 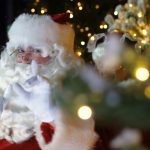 More than 10,000 people attend each year and Channel 9 will broadcast the whole show live from 8pm AEST on Christmas Eve, as well as a replay on Christmas Day. 4pm: Gates open and there will be a range of family-friendly activities to keep you entertained before the show begins. 8pm: Main event begins and will finish at approximately 11pm. Vision Australia is the largest national provider of services for people who are blind or have low vision. For children, this includes orientation and mobility services, school support, the Feelix children’s library and so much more. 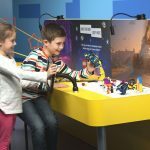 Carols by Candlelight is the largest annual fundraiser for Vision Australia’s children’s services, with all proceeds from the event supporting services for families and children who are blind or have low vision. Sidney Myer Music Bowl in Melbourne. If you have general admission tickets, make sure you arrive early as the lawn area is allocated on a first-in, best-dressed basis, and there is often a queue prior to opening. Tickets can be purchased from 11th October at www.ticketmaster.com.au. Ticketmaster is the only authorised seller for Carols tickets, so please avoid using alternate websites. 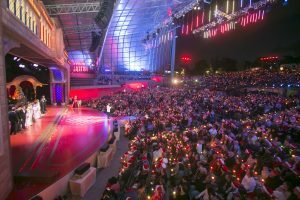 Don’t miss the Carols by Candlelight Melbourne 2018 Christmas event of the year! If you can’t get to the main event you can still watch Carols by Candlelight live on Christmas eve on Channel 9. 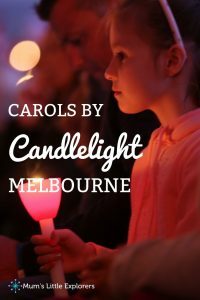 This Carols by Candlelight Melbourne event is not to be missed! 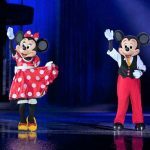 Disney On Ice Celebrates Micky & Friends in Melbourne with Moana! 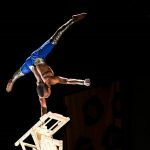 Jurassic Unearthed by Silvers Circus is touring Melbourne!! 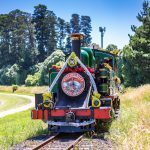 Here you can find family friendly events and activities for kids in and around Melbourne. Follow our adventures travelling back and forth to Europe and exploring a bit of Australia and the rest of the world along the way. Mum's Little Explorers © 2019. All Rights Reserved.